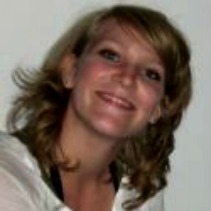 Rianne Van Doeveren (Alternative Information Center - AIC): Rianne was born and raised in The Hague. She earned her Bachelor’s degree in Political Science at Leiden University. After her undergraduate studies she earned a scholarship to pursue a Master’s degree in international relations and diplomacy at Leiden University and Clingendael (The Netherlands Institute for International Affairs). She studied abroad in South Africa at Stellenbosch University. In South Africa, where she taught at a pre-primary school in the township Kayamandi. After her fellowship, Rianne wrote: "I could not have gained the deep level of understanding that I have developed of this region and occupation (it is hard to simply call it a conflict now) without this fellowship. It has proved to be worth more than my academic education thus far since it brought me back to reality and the importance of the actual events on the ground." The Birth of a New Settlement ? !